WITH LIVESTOCK producers currently enjoying record prices, many are looking for ways to expand their business without huge capital outlay and taking on more debt. 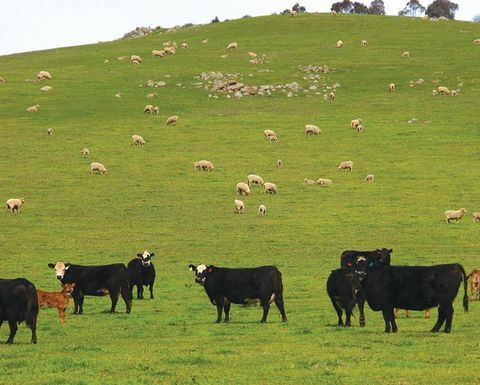 Leasing grazing country is proving to be a popular tool for increasing economies of scale, mitigating seasonal constraints or for those starting out in the grazing business. Stock and station agents are experiencing increasing levels of enquiry about grazing country available for lease. 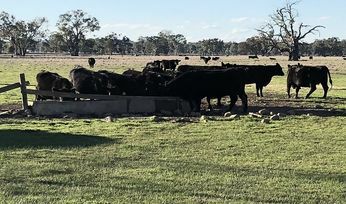 While some of this interest is coming from established producers wanting to expand, there are also many young, entry-level graziers looking for land to run 200-300 head of cattle. In Queensland, long-term drought conditions have forced many to look for leasing options to provide short-term relief from adverse seasons. The hunt for reliable grass and water has taken many producers interstate to try and secure lease country for up to 5000 Adult Equivalents (AE). Another sub-group interested in leasing grazing country are big operators, wanting to expand their grazing operations to stabilise the supply in their vertically integrated businesses. These are usually long term tenancy arrangements, for larger investors with herd of at least 5000 AE. One such example is the private company Australian Country Choice (ACC), owned and operated by the Lee family, who have been leasing land across Queensland for nearly 20 years. Company operations include cattle breeding, growing, farming, lotfeeding and processing to supply beef to Coles supermarkets. The company cites many reasons for leasing grazing land, including to minimise seasonal disruptions, improve the supply of cattle into their own feedlots and increase their breeding operations without capital investment in land. Leasing also allows ACC to spread their geographical location to react to changes in seasonal conditions or cattle growth rates, and the opportunity to ‘try before buy’ land in new regions. Landowners can also benefit from leasing out their grazing country, as they are provided with a low risk, passive, regular income stream. This is especially beneficial for older landowners looking to wind back their physical involvement in a grazing operation whilst still retaining a passive interest and asset protection. Leasing country is also a useful step in many succession plans, as it can allow the next generation to try before committing to a career in grazing. If the younger generation are not ready to take over from those wanting to retire, a short-term lease can be used in the interim to provide the retirees with retained ownership, income from their asset, potential capital appreciation without labour requirements. It may be that the lease agreement includes the option for the lessee to buy the property in five to ten years time if there is no family interested in taking over. A lease agreement should always be in writing (even among family) to ensure both parties understand their rights and responsibilities and to reduce the likelihood of future disputes. There should be the provision for an independent agricultural consultant to assess the condition of the property and improvements pre-lease, and to create a report that can be reviewed by the consultant each year. It is also a good idea to take a video or photographs before the lease starts, especially of improvements and facilities such as fencing and stockyards. 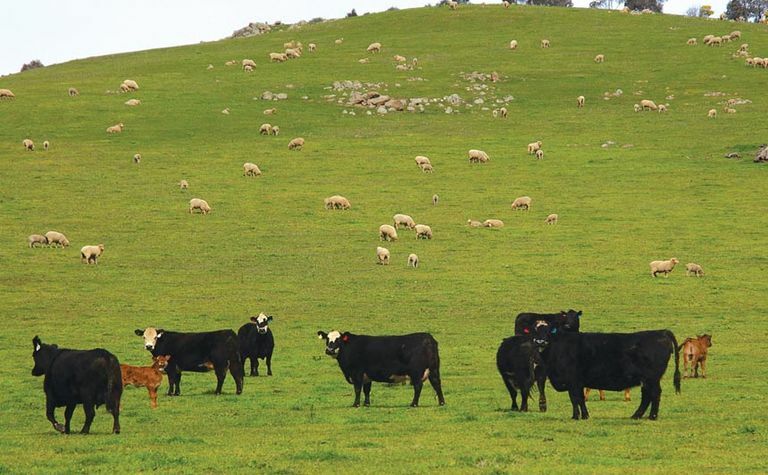 The rental rate for leasing grazing country can vary considerably between individual agreements. In northern Queensland for example, extensive grazing country is being leased at a rate ranging from 2.5 percent to 7.5% of the market value for the land. Some grazing leases may be better negotiated on a ‘dollar per dry sheep equivalent ($/DSE)’ basis, as this better reflects the actual earning capacity of the land. There are also various formulas using local land values, sustainable stocking rates and the cost of capital (10 year average bond rate) to calculate an average agistment or leasing rate per head per week for livestock on basic grass and water. During the recent drought in Queensland, this rate has generally amounted to about $3/hd/wk for cattle for example, not including unbranded calves at foot. 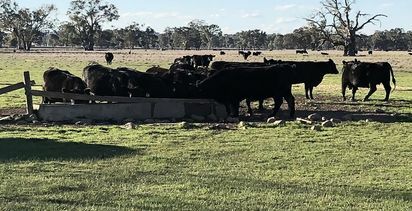 The lease rate is largely dependent on the landowner’s level of involvement in day-to-day activities such as checking water and fencing, putting lick out and even mustering stock on behalf of the lessee. Individual rates will also vary depending on the level of maintenance and improvement to resources such as fencing, water and pasture agreed to by the lessee, and whether any buildings are available for occupancy. It is therefore up to landowners and lessees to negotiate a rental rate that is economically viable for each party. A prospective tenant must take into account the value of their labour, working capital and management skills when calculating the amount of rent they can afford to pay. Their ability to pay rent will largely depend on the final cost of goods sold (kilograms gained) when animals are taken to a new market level. This cost will be impacted by growth rates, management costs, marketing costs and transport costs, all of which must be considered by the lessee when calculating potential rent payments. For the lessee, lease payments are fully tax deductable. For the purpose of income averaging for tax, lease payments made to the landowner are not deemed to be primary production income. A lease with the option to buy the land at the end of the lease period usually attracts a higher rental rate (10 –15% of land value) because the lessee can purchase the land at a predetermined price. This higher rate also gives the landowner some insurance against the tenant deciding not to buy the land at the end of the lease period. Most leases run for between three to five years, to encourage the tenant to look after and make improvements to the land which they will benefit from during the lease period. Many leases are set up as three, three-year terms, with the lease rate reviewed at the end of each term. If the lease agreement includes the option to renew, there needs to be a set amount of time that the tenant must give as notice to the landlord if they intend to take up the next lease option. If there is no option to renew and the land has the potential to be sold during or immediately after the lease period, in some states such as Victoria, the tenant can request that any lease exceeding three years is registered with the Register of Titles so it appears on the land title. This means the lease continues if the land is sold during the lease period. If the lease is not registered in this way, the tenant can still gain more security by including a clause in the lease agreement that says the lease will be automatically renewed unless six or 12 months notice is given by either party. It is essential to seek professional advice when entering a lease agreement. Experts who should be consulted include a lawyer to ensure the lease agreeme nt is a legally binding document and an accountant to determine the agreement’s tax implications. A financier will need to register any lease agreement as an incumbency on a property title and discuss the implications of the lease generating a new income stream for the business. A local stock and station agent or valuer can also help determine a fair rent for grazing country.